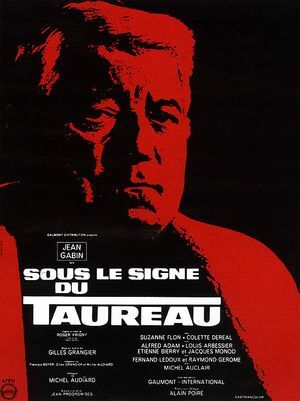 Sous le signe du taureau movie poster. 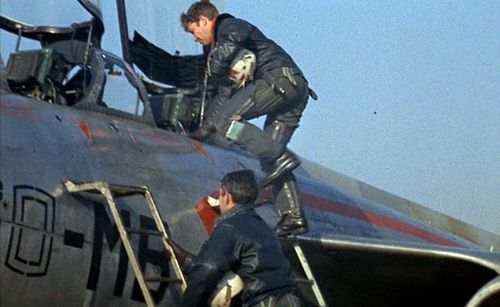 Albert Raynal (Jean Gabin) is a rocket manufacturer manager. 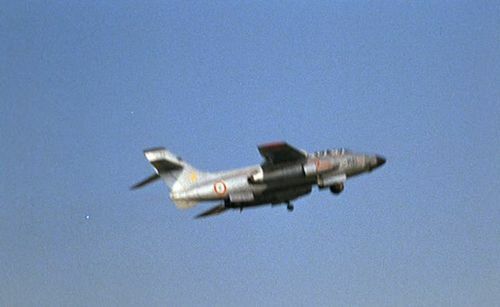 The pictures shows prototype trials on Armée de l’Air fighter SO 4050 Vautour II N of the Normandie-Niemen squadron in Reims. 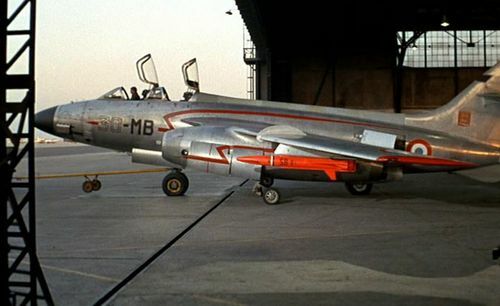 SNCASO Sud Ouest SO 4050 Vautour II N of Armée de l’Air. Aéroport de Paris-Orly. 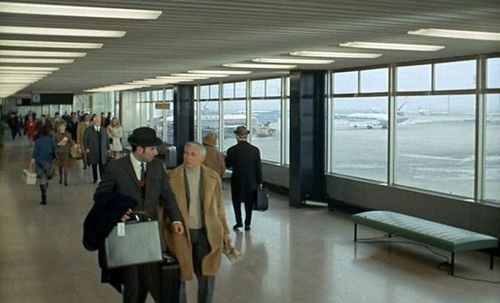 On the right, an Air France Caravelle, and a B.O.A.C or MEA airplane on the left. 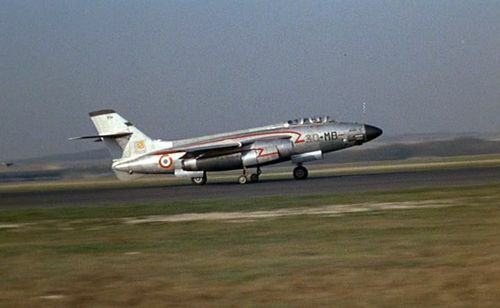 Sud Aviation SE 210 Caravelle III of Air France. 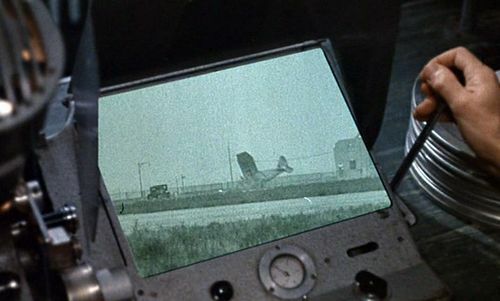 Watching at archive footage on A.Raynal’s aircraft experiences history. In reality, this is footage of the accident of marquis De Pinedo on the 3rd of September 1933, at Floyd Bennett Field (Nex-York). De Pinedo was trying to join Bagdad. His Bellanca Special long distance version, named "Santa Lucia", full of gasoline, crashed and the marquis died in the flames. 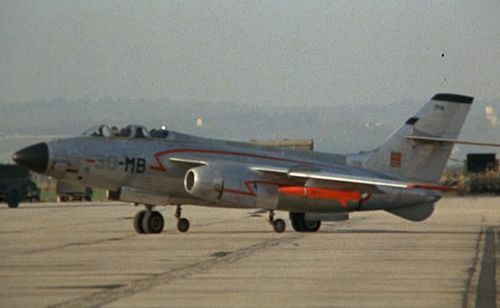 Same footage used in other movies at IMPDb: Frequently Seen Aircraft. Bellanca J-3-500 Santa Lucia (r/n 13199). This page was last modified on 28 June 2015, at 09:42.